Incorporated in 1989, Sharpe Landscaping & Construction has established a respectable reputation throughout eastern Ontario. With our strong emphasis on customer service, reliability, and safety, we’ve become the landscapers to beat. Our family owned and operated business ensures that we keep hold of the same great values we started with when the company began. 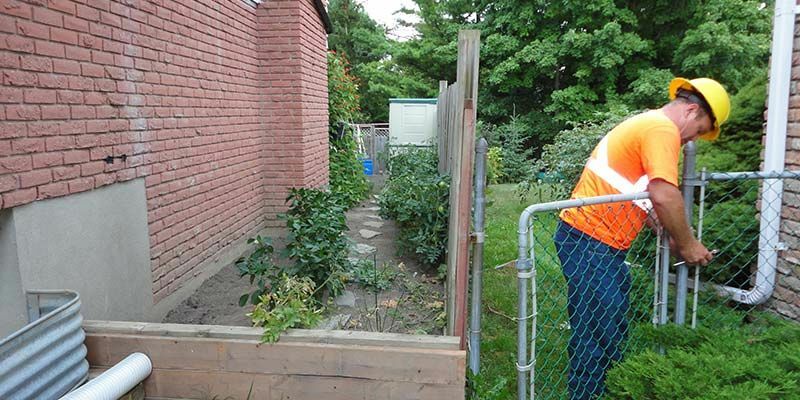 Focusing on the benefits to the community around Kingston, Sharpe Landscaping & Construction has expanded our business to provide full lines of landscaping, ground maintenance, and excavating services year round. Handling both residential and commercial landscaping, you can trust Sharpe’s honest advice on all landscaping scenarios. We help design lawns, gardens, retaining walls, fountains, and more, no matter what shape, size, or location. We let you know what plants work best with your home’s weather and environment. Our team can steer you toward the right landscaping layout for your family’s lifestyle. Sharpe Landscaping & Construction takes pride in on our work ethic. We strive for complete customer satisfaction in all our work, hoping to become the landscaping and grounds maintenance business you call first.